Queen Elizabeth II during a visit to Wakefield Cathedral for the Maundy money Ceremony, 2005. The British Royal Family usually head to Windsor Castle to celebrate Easter. A Maundy Thursday service at St. George’s Chapel is attended by the Queen and other members of her family. 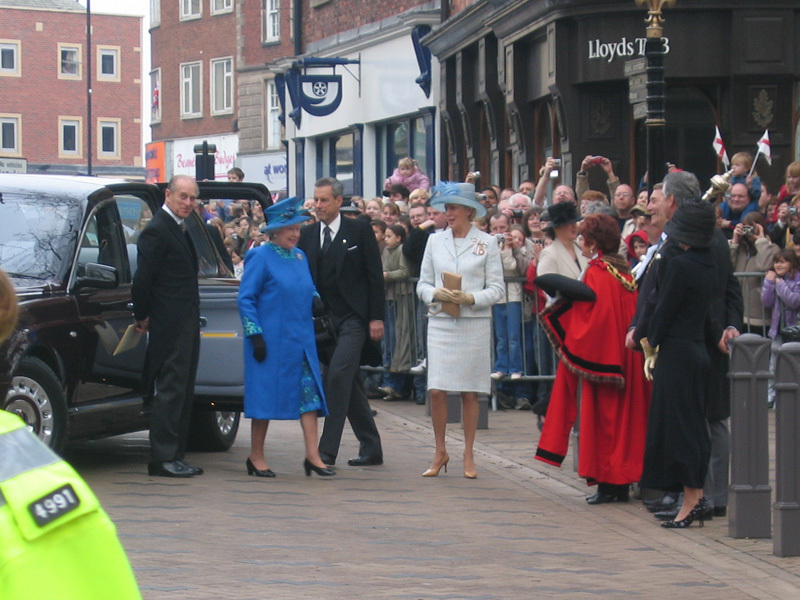 This event usually attracts quite a crowd, who would gather outside the chapel to catch a glimpse of the royals. Usually, the Queen receives a bouquet of flowers from local children who join in the service. The Easter weekend is usually a private gathering for the Royal Family but on Thursday before Easter, the Queen distributes Maundy Money. With this, the Queen would embark on a trip to a different cathedral across the country to give away special coins to men and women who have contributed much to their community and church. Usually, they are retired pensioners, from all denominations. To be eligible, the recipient of the Maundy Monday should have been nominated by the community or church where he or she belongs. The tradition of Maundy Money started as early as 600 AD, but when the Queen ascended to the throne, she decided to make this custom a nationwide affair. The Queen may have not have participated in any Easter Egg Hunt but the Royal Palaces are usually thrown open for egg hunts and painting workshops to celebrate Easter. Usually, families would flock to the royal residences to enjoy the day. Children, in particular, are encouraged to become a little creative and design their own baskets and follow a treasure trail to find the hidden eggs.